The Greatest Film I’ve Never Seen Blogathon has arrived! Bloggers: When your post goes live, leave the URL for your post in the comments section here or under the original announcement post. You may also send it to me via Twitter. My handle is @DebbieVee. I will do daily recaps, but will also collect all the URLs in this post as they come in. You may link your post to this one so people who read yours can find the other posts. 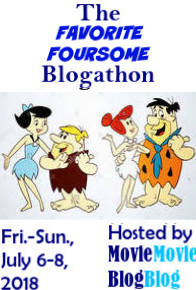 Remember, you may post any day during the blogathon: Friday, November 16 – Sunday, November 18. If you’re running a little late, no problem! I will do an update on any posts that come in later than Sunday. Side note: I have some unexpected personal things going on right now and may be a bit slow posting comments. Please bear with me! I will get to all of them eventually, I promise. Here it is, Oscar and I’s review of E.T. the Extra-Terrestrial. This was an awesome idea, thanks for doing this! Looking forward to reading all the others. Hi, Debbie! Here’s mine: https://takinguproom.wordpress.com/2018/11/16/the-red-shoes/ Looks like there are a lot of great entries here! Here’s my post: https://cinematicscribblings.wordpress.com/2018/11/18/on-first-viewing-the-phantom-of-the-opera-1925/ Thank you! Previous Previous post: The Greatest Film I’ve Never Seen Blogathon Begins Tomorrow!